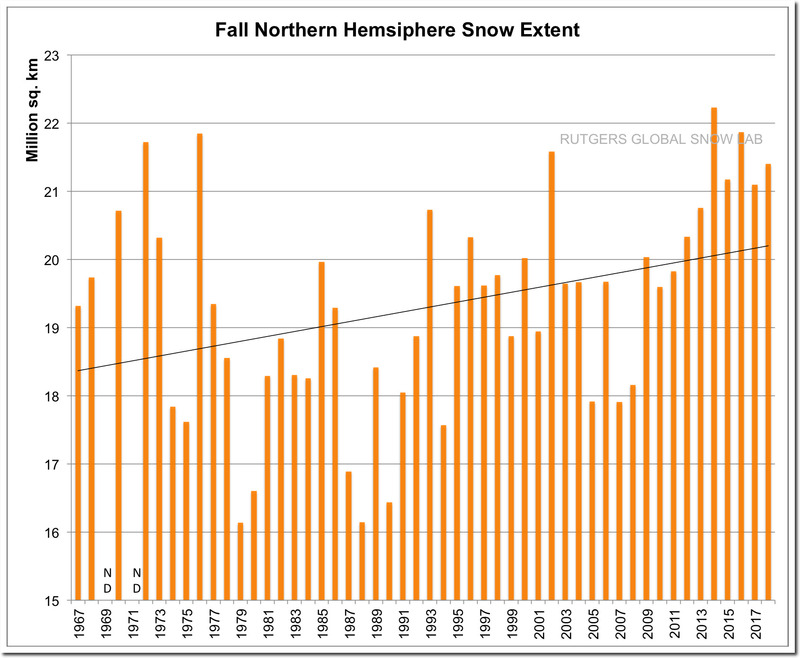 Climate models predicted the snow line moving north as a result of increases in greenhouse gases. If the climate was warming, precipitation falling in the mid-latitudes would fall as rain in places where it used to fall as snow. But the exact opposite is happening – the snow line is moving south. November snow cover over North America was the most extensive since 1966. 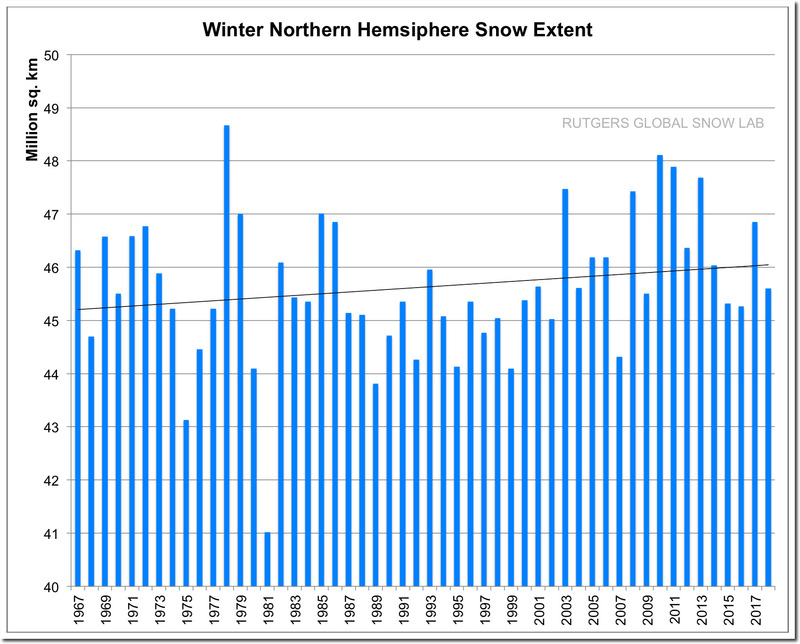 Climate scientists can tamper with temperature data (and simply make temperature data up) but it is much harder for them to tamper with historical snow data. 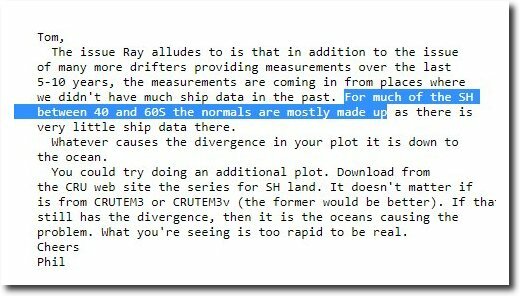 Climate models don’t work, and they form the basis of climate science. If the climate was warming, the snow line would be moving towards the pole, not away from it. And climate scientists wouldn’t have to cheat. They’re betting no one checks the data. And they’re almost right. That might get in the way of the centrally-planned pensioner genocide. I think that was before they discovered the “Warming Hole” that causes freezing snow and ice as opposed to the “Freezing Hole” that causes extreme heat waves? Long time reader of your posts. What about Spring snow extent for North America? I just want to be prepared to defend each graph. Spring snow cover is determined more by melt rates than by precipitation. It involves different principles than the ones I am discussing in this post. Having said that, spring snow cover was far above normal the last two years, and above normal four out of the last eight years. Coal – the perfect stored energy.